A future update of a sub-$300 computer-building kit for kids will expand the capabilities of its operating system, turning STEM into STEAM. 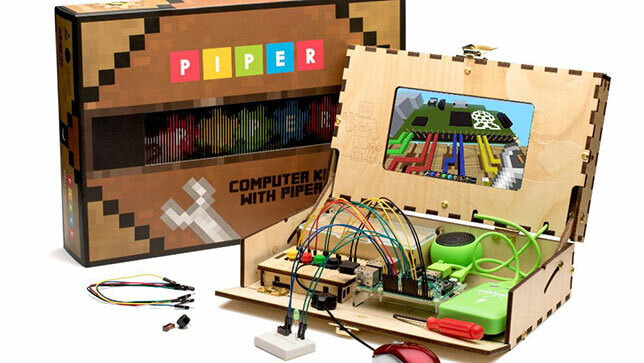 Piper sells a box of components that students assemble into a working computer. The computer can run the Raspberry Pi edition of Minecraft as well as Scratch and Mathematica. Users also learn some basics of electronics as they do their assembly work. Now Piper has announced it will add software to integrate the arts into its STEM product. A new OS, ImagineOS, will embed 3D design capabilities into the machine as well as functionality to allow people to generate and share digital music. 3D Materializer is a new addition that lets students create an area within their "Piper world" that can handle scanning; the resulting file can be sent to a 3D printer to physically create the object. PipHop is a music sequencer to allow users to program, play, record and share music. The first generation will include a piano and drum kit; future updates will offer other instruments as well as scales and microphone inputs. The sequencer will allow for recordings of up to 30 seconds, which will be saved as mp3 files for sharing. "Through our ImagineOS update, we've been able to further Piper's already cutting-edge technology, adding an art component to our already successful STEM learning program. We are creating an environment that will continue to inspire our young inventors," said Co-founder Mark Pavlyukovskyy in a prepared statement. Recently, the company launched PiperEDU, a builder page for educators, with curriculum, standards information and classroom and school pricing.